Since their infancy back in 1999, Lakai has always been committed to providing peak performance in their skateboarding sneakers and apparel. 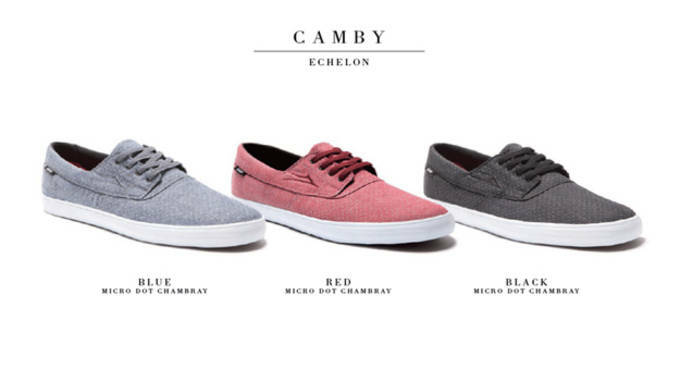 Today, we get the latest footwear from Lakai, in the form of their 2014 Spring Echelon Collection. 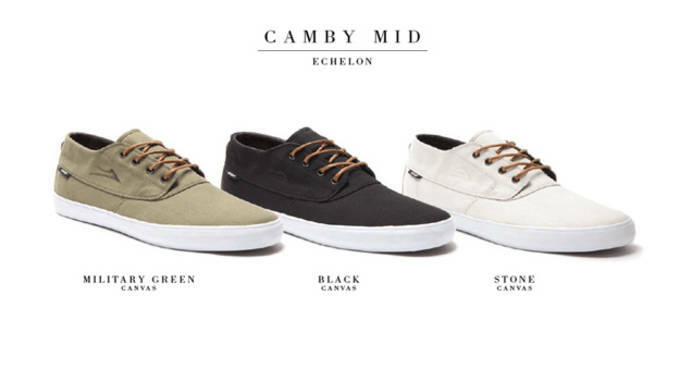 Featuring two original models, the Lakai Albany, and the Lakai Camby Mid, and a premium version of the existing Lakai Camby, the 2014 Spring Echelon Collection pairs style with function seamlessly. Each model in the collection comes in three colorways at launch with more expected to following considering the success of previous Lakai Echelon models. The skate shoe market is growing increasingly popular, even extending beyond skateboard functionality and crossing over to daily lifestyle. The Spring 2014 Echelon Collection from Lakai is attempting to bridge the gap by providing a sneaker that offers the best of both worlds. The entire Spring 2014 Lakai Echelon collection, including t-shirts and headwear, is currently available on their website, as well as at select retailers worldwide.